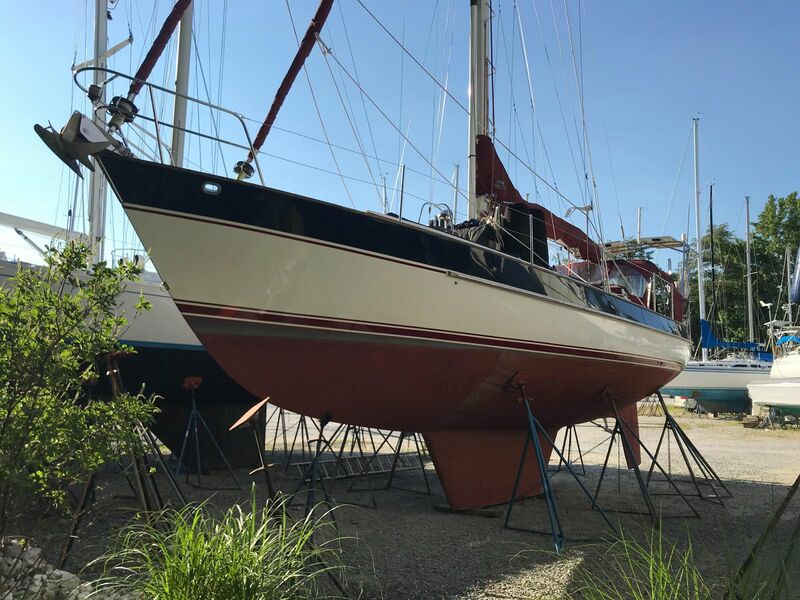 Every once in a blue moon, there comes an incredible opportunity to own a Texas built, Valiant 40! Every once in a while there is a newer Valiant 40 that is well equipped, well loved and ready to cruise anywhere. This is a 1990 Valiant 40 is one of the last 40s built; they stopped building the V40 in 1992. We are proud to offer Petite Ourse a wonderful Valiant 40. 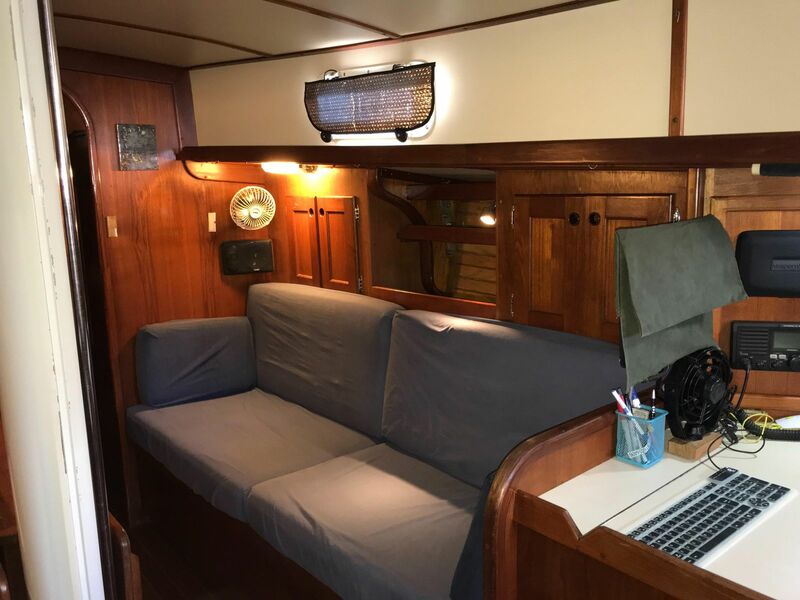 She has just completed a circumnavigation and her knowledgeable owners have maintained her as their home and provided many upgrades over their cruising tenure of the last ten years. 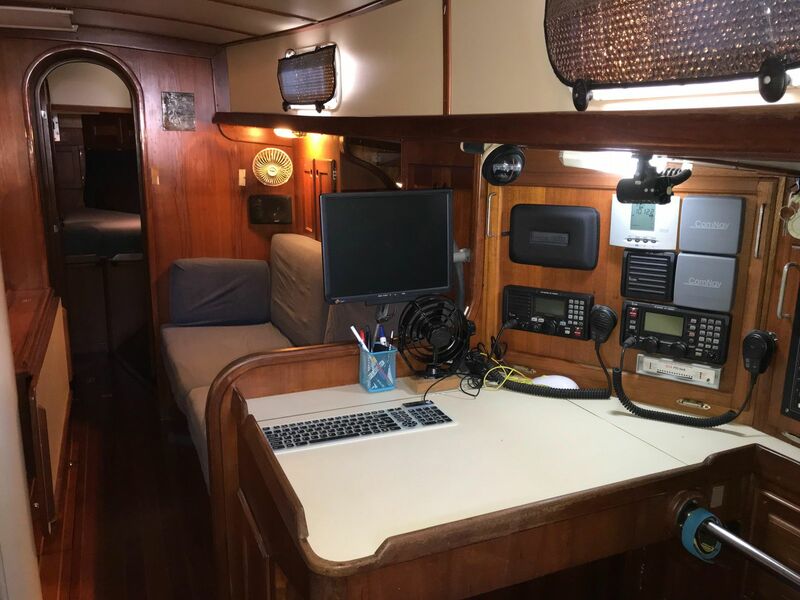 Petite Ourse has all the cruising equipment you need and I mean everything… new engine, Northern Lights generator, davits, arch, windvane steering, New solar, New wind, complete electronics with SSB and AIS and the topsides are newly Awlgripped! This is one Valiant 40 you must really check out carefully. Valiants like this one don’t come along often. 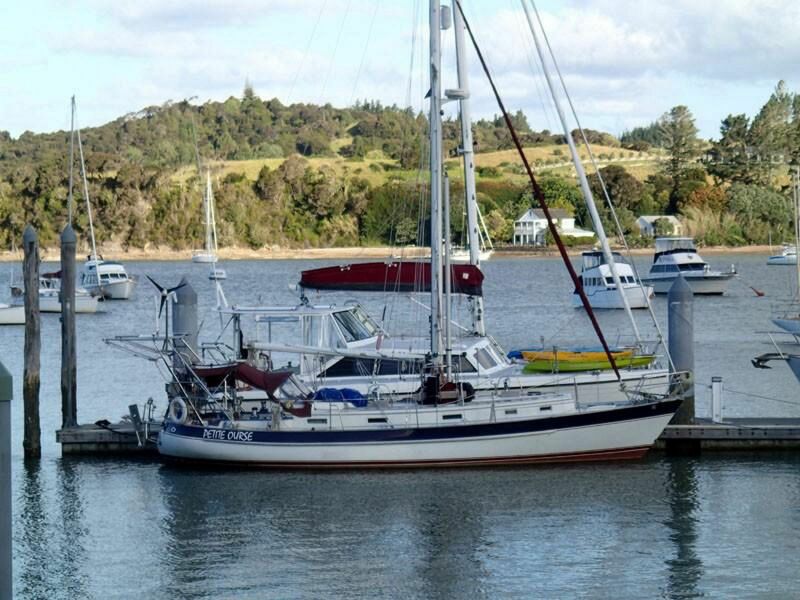 She was a great lightly used Valiant in 2006 when her owners bought her with their circumnavigation in mind. They have added all the modern equipment you would want and also safety features and creature comforts. They have used her as she was meant to be as a safe and comfortable voyaging home. 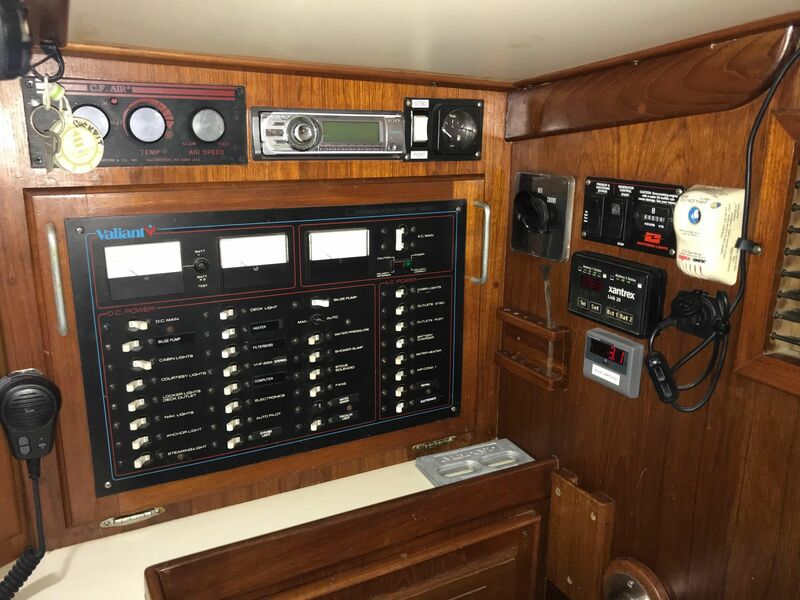 We have sold many Valiants that are proven circumnavigators and we can tell you that the best boats are the ones used and loved as they were meant to be. 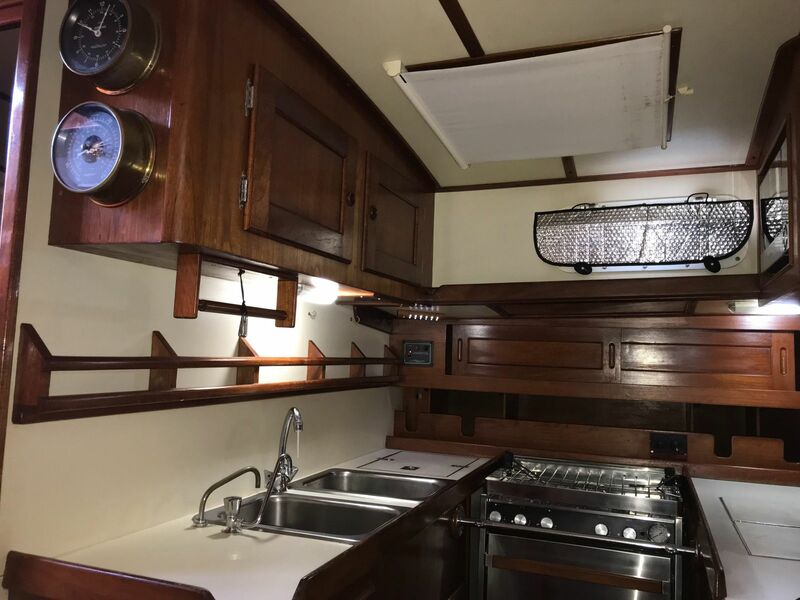 The owner’s of this Valiant 40, Petite Ourse, can confirm that the Valiant 40 lives up to its reputation. A reputation earned over 35 years! In the early 70s, when Bob Perry designed the first “Performance Cruiser" the Valiant 40 was thought to be pretty radical in design. 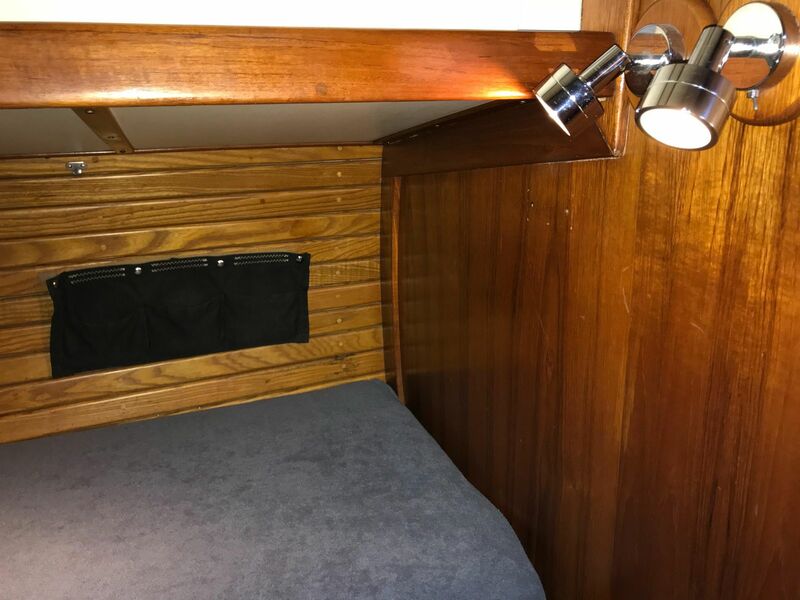 Since the 90s Bob Perry’s long fin “cruising” keel and skeg hung rudder have become the definition of a stable fast ocean going sailboat! The modern production boats are downright flimsy compared to the Valiant 40 that is solid hand laid fiberglass with a robust layup schedule. The Valiant 40 remains one of the very best ocean sailing vessels you can buy and at a great price. 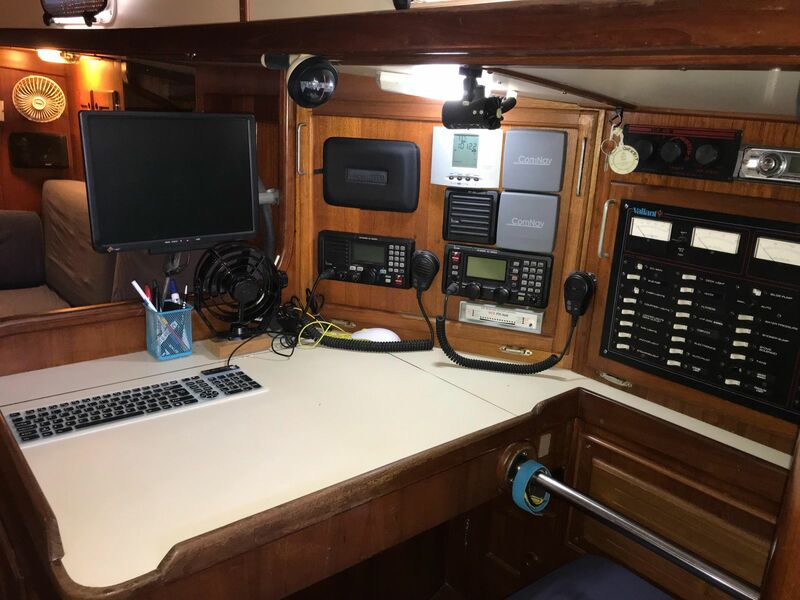 Proven over and over, tough and hardly, the Valiant remains a couples cruising vessel of choice as well as a favorite for solo sailors. She is your “all ocean SUV" of the sailing world. No frills. All function! There is a reason that serious sailors choose a Valiant. The build quality is among the best there is. From the hand laid solid fiberglass hull, to the hull deck joint is bolted and glued with 5200. 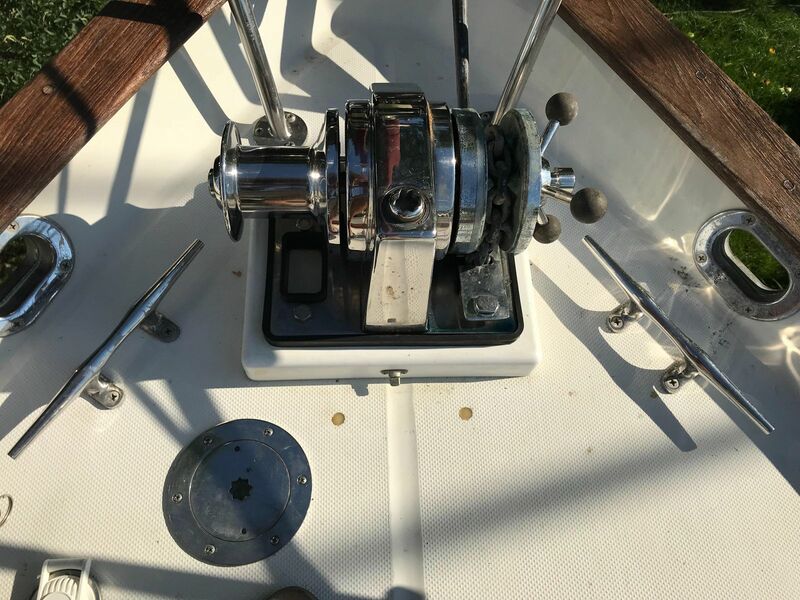 The deck is built of a sandwich of fiberglass over marine ply coring with deck hardware is attached securely with robust backing plates. This Valiant 40 was built in Texas and well beyond the blister years! 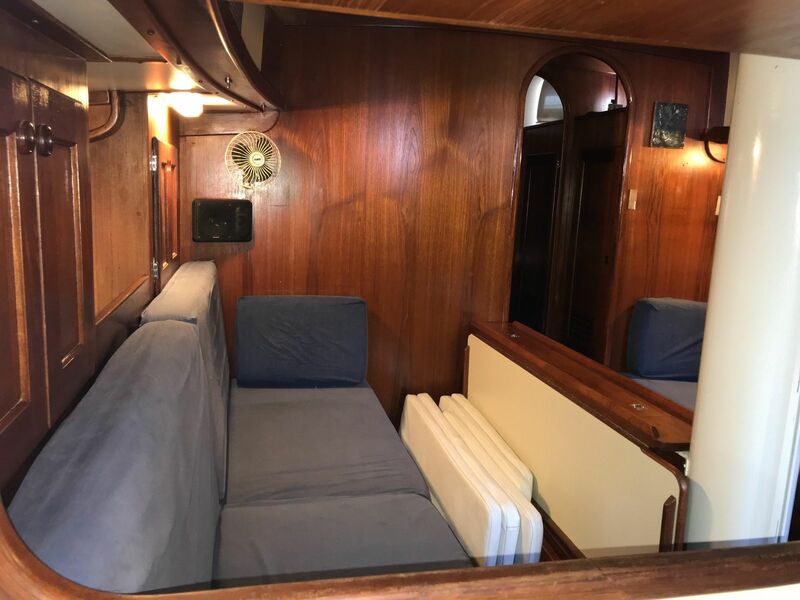 She is one of the last Valiant 40s built and as such, she is a highly desirable boat. 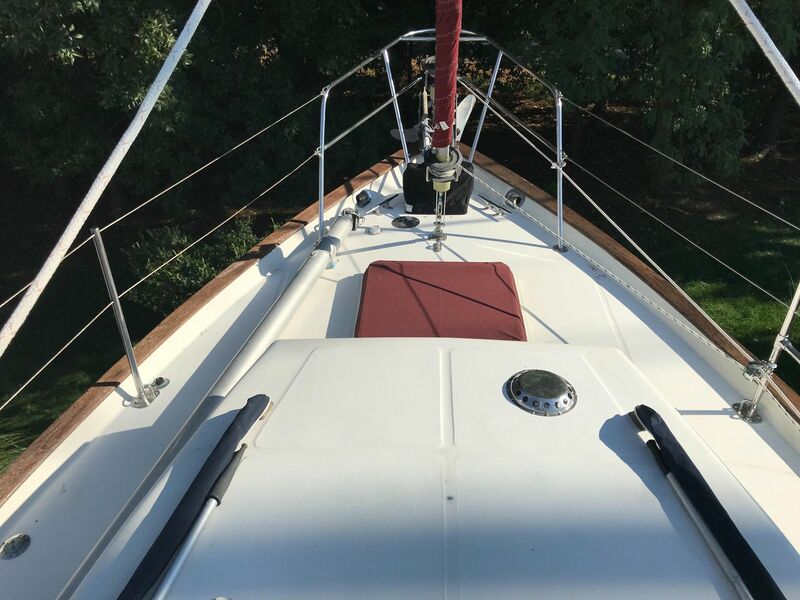 Having owned and sailed a Valiant 40, we can safely say we love the boat. Petite Ourse is a sistership to our Valiant 40 Solstice and we highly recommend you give this Valiant your consideration. The Valiant 40 is a great sailing boat that is also solid and safe. 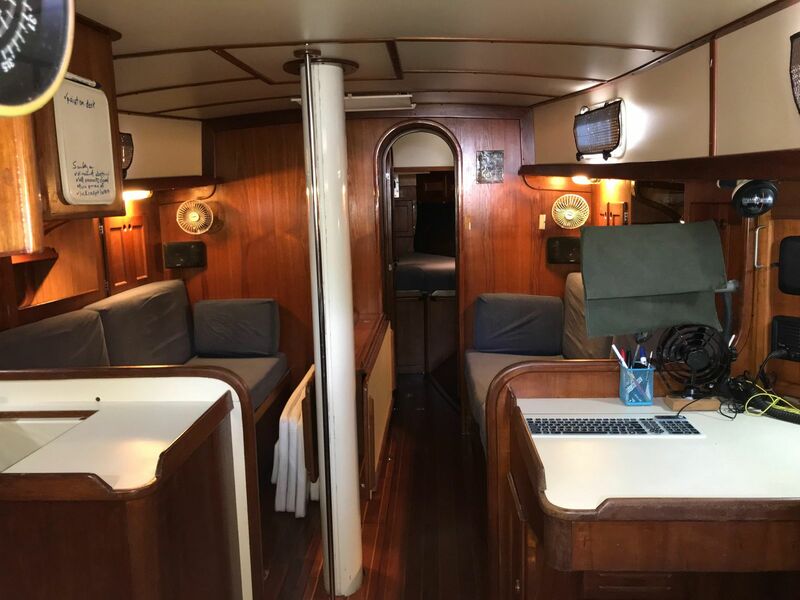 She is a capable cruising vessel that is also affordable! If you are thinking about it, call now! I don’t think she will wait long! More pictures will be coming as soon as she arrives in Annapolis!